Fig. 2.6.17. 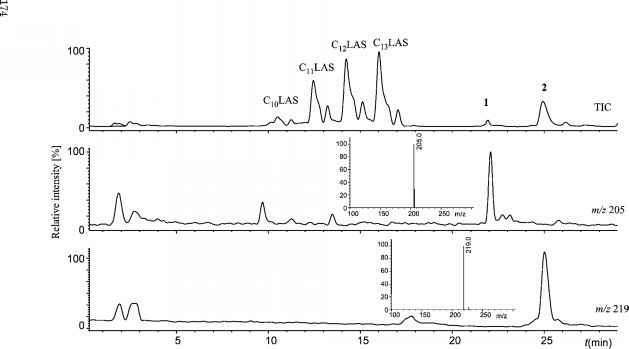 CID spectra of (a) ClNPE2C (precursor ion m/z 355) and (b) BrNPE2C (precursor ion m/z 399) obtained at collision energy of 30 eVand the proposed fragmentation pattern. Reprinted with permission from Ref. 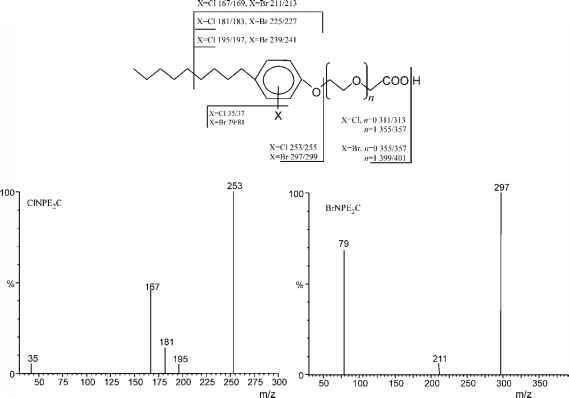 © 2002 Elsevier.